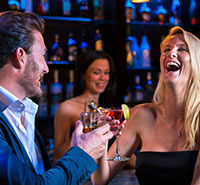 You have a great deal of options when it comes to free NZ dating sites. However, you need to know how to navigate the resources that are available in order to create a better social life for yourself! Here are some of the top tips for giving yourself the best chance to make the online dating world work for you. Everyone has faults that they are so sure will keep them from getting dates. The way to deal with those faults is not to lie about them. Lying about them will only bring disappointment down the road as the people who clicked on your profile find out that you are not the person that you say you are. People appreciate others who know how to laugh at themselves. If you are upfront about any of your dating weaknesses with humor, people will laugh them off with you. Also, because you are telling the truth about yourself, you are much more likely to attract people who you will actually get along with in real life. There are basically two types of dating websites online today: general websites and niche based websites. In order to get the best results from your online dating excursions, you should probably join one of each. General websites do not have a criteria for joining, so you will deal with many people that you do not necessarily want to. However, these websites will usually have the greatest number of people to choose from. Niche based websites are geared around a certain interest or demographic. If you are looking for this demographic, then your potential social partners come prescreened. Here you have a much better chance of getting in touch with someone with whom you have true compatibility. However, there are usually less people on this type of a website. Your profile picture should be clear. The other pictures in your profile should showcase you in various happy social situations. If you are taking pictures of activities that you love, bonus! You are letting your potential social partners know exactly what it is that you are into. They will be able to make a much more informed decision about you, and the people who actually get in touch with you will be more compatible.In your description, showcase your personality. People are much more interested in who you are than what you do. If you try to impress people with money or a position, then you will attract people that are only looking for that kind of relationship.